Should you build a strong internal team, or consider outsourced sales and marketing helps small business grow operation? The question commonly arises for growing businesses with limited resources. Accounting, production, and other department face the same general question. So naturally, the same is true for sales and marketing. Some vendors will tell you that outsourcing is always the better idea. That’s not necessarily the case. While working with an external partner is undoubtedly beneficial in some situations, others may actually benefit from an in-house approach. Don’t be seduced by a vendor that pushes sales outsourcing simply because they want your business to build their own revenue. Instead, approach the question strategically. Determine whether or not you should outsource your sales and marketing operations based on your unique business situation. Evaluate your environment, capacity, business goals, and priorities. The fewer variables remain, the better your final decision will be for your situation. Make no mistake: outsourced marketing can help your small or medium-sized business thrive. And yet, according to one recent survey, only 3% of SMBs actually work with an external marketing vendor. Should you be part of that exclusive group? Your business finds itself in one of the below five situations, the answer might just be yes. The age of cold calls is long gone. Too often, business owners and decision makers consider marketing and sales to be two distinct operations. The problem is that your target audience doesn’t see it that way. Whether they read your website content or receive a sales email, they’re thinking of the same brand. That means your messaging and strategy has to be consistent, regardless of whether you’re writing about industry trends to build credibility or delivering a sales pitch. 56% of aligned organizations met their revenue goals, and 19% beat their goals. Aligned organizations achieve up to 19% faster revenue growth – and 15% higher profitability. And yet, too often, the opposite is the case. Sales and marketing operate as distinct entities, with their own unique goals. As a result, they often become isolated, and the organization fails to reach business goals. When that happens, you might need to consider working with an external marketing and sales vendor. Through this type of partnership, the alignment becomes more natural. Rather than having to spend time managing both units on your end, you can work with a partner who builds a wholistic, strategic approach that encompasses both. Especially to begin the integration process on your end, this can be a crucial step. Managing a sales and marketing team can be difficult. Sales especially faces common obstacles, as you need to keep the balance of a confident staff not overburdened by challenging goals that still is motivated enough to meet these goals. Beat them up too much about your sales goals, and they lose confidence. Fail to hold them accountable, and the sales pipe built by marketing never bears fruit. When you cannot hold that balance, while folding marketing into the mix, it might make sense to delegate your sales and marketing management to an external partner. Through that partner, you can set firm goals that are both strategic and ambitious. Both the chances of hitting these goals and the satisfaction of your organizational team will increase drastically. Resource limitations pose a similar problem. Organizational expertise takes time to develop, because it tends to be driven by measurement and verification against feedback loop. You need the historical data to benchmark your performance against, which can be impossible when you’re starting from scratch. Plugging your sales goals into an existing sales process and operation means you can save your resources for other organizational priorities. That’s especially crucial if you need to focus your talent and executive leadership on those aspects of your core business. Is your time better spent in business development than sales? Does your delivery, client satisfaction, or product development need more attention? Outsourcing your sales may be the key to focus on your core business needs without neglecting the growth of your customer base. Especially as a startup grows, but also throughout your growth cycle as a business, managing operational risk is crucial. Outsourcing your customer growth initiatives will almost always help to accomplish that goal. You won’t need hard infrastructure investments n technologies and marketing platforms. You won’t need to hire a full-time sales and marketing staff. Your investment will be more closely tied to output, rather than becoming an inevitable expense. Total costs of a fully functioning sales machine, including talent, managers, executives, and marketing support will range around the cost of a single senior enterprise representative. You will not need to invest in ongoing training and development to keep your own sales and marketing staff active and successful. In most cases, outsourced sales organizations are bound contractually to hit their targets, report on progress and benchmarks, and provide feedback that can improve your organization. The result is a more informed, data-based sales strategy that is more likely to succeed. Managing your risk also becomes a qualitative function. Over the past few years, sales execution has become more buyer-focused, moving from the relatively linear ‘traditional’ process to a more fluid, credibility-based alternative. You either have to add new resources to account for that trend, or risk wasting your resources on an outdated, ineffective model. But if you hire for this shift to a buyer-centric environment, you run into another risk. Adding full-time executives to your sales and marketing team might mean you begin to accumulate too many strategists, and not enough soldiers. Pulling together the strategic side and tactical execution of both sales and marketing is expensive, and can incur significant uncertainty. In an outsourced approach, that is not the case. The same partner will account for both sides of the coin, building an initial and ongoing strategy that tightly integrates with its execution. The time to market for your business or product may matter for a number of reasons. You might need to contend with a highly competitive environment, satisfy your investors, or ensure the fulfillment of pre-orders. A number of factors influence that process, but don’t forget about your marketing and sales operations. Even the most well-built product or service cannot effectively reach the market if you don’t know how to unlock your future customers. You need both an understanding of your market, as well as a strategy and a team ready to leverage that understanding into actual sales results. Your sales strategy can be built even as you’re still developing the product. The technologies and platforms needed for an effective sales and marketing execution are already in place. You can tap into a sales and marketing team that is already aligned and works well together. You don’t have to spend time onboarding a new team for your business. You can leverage existing, real-time market intelligence to keep a pulse on the market and adjust your strategy as necessary. Time to Market is not always an important consideration. But when it is, outsourcing can quickly become a crucial step. You save valuable time in getting your product ready for and in front of your audience. Recruiting, building, and training your sales force can take months if not years. External marketing and sales can help you avoid delays that could otherwise devastate your competitiveness. Time to market, of course, is only one consideration. As demand grows, your business needs to keep pace. Even if you’ve built up a reliable internal sales operation for a startup, that operation may no longer be effective as you grow into a mid-size business. The same is true on the opposite end. In fact, downsizing your sales and marketing may be even more difficult than upsizing the same process. Thanks in part to the fixed costs mentioned above, you will be saddled with investments and resources that cannot be effectively deployed. Now, consider the alternative of working with an external sales partner. The right provider already has the ability to manage any increase or decrease in scale built into the system. The technology platforms account for both growth and declines. The phone systems and workforce are in place to adjust as needed. The same is also true if you want to grow to a specific size and revenue, then stabilize. During your growth phase, it might make sense to work with an outsourced vendor. As you reach majority, you can work with the same vendor to transfer the earned infrastructure and expertise in-house, and establish your own sales operations. As long as you’re open and honest about that intent from the beginning, you can find a vendor that helps both in the build-up and the transfer. Should You Outsource Your Sales and Marketing Efforts? There is no simple answer to that question. Instead, you should evaluate your current situation, and determine based on your existing infrastructure as well as forecasted sales whether finding an outsourced provider makes sense. If you find yourself in any of the above situations, the answer will probably be yes. In that case, you still need to find a reliable partner who can actually accomplish everything that outsourced marketing and sales are capable of. That provider should not just possess built-up expertise in your core area of need, but also the desire to become a true partner who is invested in your business success. We can be that partner for you. Outsourced sales and marketing helps small businesses grow. In fact, our integrated approach to modern marketing and sales makes us the perfect fit to help your business grow and optimize its sales efforts. Contact us for more information, and to start discussing a potential partnership. Gabriel Sales specializes in helping SMBs and Startups grow their business with modern outsourced sales and marketing operations. To learn more about how we can help you grow your business (or decide if we are the right fit for you), we invite you to visit our page that details our integrated approach to sales and marketing outsourcing. Or feel free to contact us for free initial consultation and discovery session to see if our approach is the right fit to help you hit your revenue targets. Marketing automation helps sales reps increase their productivity in multiple ways. Marketing automation tools are used by companies of every size to increase the value of their online presence. Whether a business needs better lead generation or an improvement in the number of sales successfully closed, automated marketing can dramatically extend your online reach, allowing you to drum up a much higher number of leads, and in turn find more good leads that will turn into sales. However, sometimes sales departments don’t use these tools correctly. Often this is the result of misunderstanding what these tools are capable, of, and becoming overly reliant on them for help in every facet of the job. Marketing automation is powerful, but in the end still just a method for enabling a live person to do more than would otherwise be possible. In the interests of helping people understand how to maximize the value of these automated systems, here are ten ways that marketing automation assists sales reps.
Lead scoring. If you have a good number of existing leads and a steady stream of new leads always coming to you—a fortunate situation, to say the least—you still need to know which of those leads are most likely to result in sales. Lead scoring tracks a potential buyer’s activity to determined who is most engaged. This gives sales reps an easily accessible list of priority customers, requiring no guesswork as to who should be contacted first. Buyers indicate their interests before speaking with a sales rep. Related to lead scoring, automated marketing systems track what products and services your engaged leads are checking out. When your sales rep is ready to make contact, they can do so knowing the customers’ interests and thus what to target with their sales pitches. Sales reps can see how effective their contacts are. Every sales rep knows the feeling of having a customer that they’re sure is interested, the customer will buy soon, it’s pretty much a lock, and so on. What helps more than a good feeling, even for the best rep, is hard data. Marketing automation tells you how often leads open your e-mails and click on the links you send. If they are, wonderful; if not, this lets you know that you need to devise a new angle for selling the ‘hot’ lead on your product, rather than continue sending the types of e-mails they’ve been ignoring. Automated e-mail templates save your reps time and give them feedback. Once e-mail templates are programmed into the automated system, they can be put to wide scale use and their effectiveness thus gauged on a large quantity of data. If a certain template does not do enough to trigger further engagement from leads, you know and can try something else. And if you find a template that is super effective, the automated tools make it easy to streamline its use. Automated follow-up e-mails. Follow up contacts are important for maintaining a lead’s awareness of your company and the sales rep with which they’ve spoken; you never know when a lead that is unlikely to buy now will change their mind. However, the effort takes time that could be spent pursuing different leads instead. With the ability to set up a drip campaign ostensibly coming ‘from’ the sales rep, marketing can make sure the effectiveness of follow-up contact is maintained while freeing up the rep to speak with different leads. Quick access to past communications. Any good marketing automation software (Pardot, for example) can integrate with your CRM. Once the rep uses software that connects the two (often Outlook), their e-mail history will be loaded into the automated software, making access a swift and painless matter. Reduced headcount for your company. Marketing automation allows each rep to handle many more potential customers than they would without those tools. No matter how many leads your company is capable of generating, it requires fewer sales reps to deal with that number than would be the case without marketing automation tools at your disposal. Tracks top performers with statistics that can help everyone. If you have a decently-sized sales force, some reps will struggle and some will shine. Rather than let the struggling reps muddle along, or worse, firing them when they might have potential, you can find the differences between how top reps and struggling reps approach their jobs. Which leads do top reps pursue? What lead scores most commonly lead to sales? Automated marketing systems can collate this data and make sure all your reps know how to get the most out of their work hours. Allows for timely contact. Automated systems tell you more than where or how often leads visit your site; they tell you when the leads are there. The lead deck points out to your sales rep that a lead is on your site, meaning that’s a good time to send an e-mail or make a phone call. Catch leads when they’re already thinking about your products, rather than risk doing so at a time when you’ll be easier to ignore. Reduces or prevents lead and deal leakage. One of the unfortunate positions sales reps find themselves in is the necessity of closing enough deals to make their sales targets for the month or quarter, which can often require them to focus on more on leads who are ready to buy now and abandon contact with leads who may need more time to come around. While this can help them reach their numbers in the short term, it creates perverse incentives for the reps at the expense of the company. After all, your business needs every potential customer, both the ones buying now and those considering it down the road, and it does you no good if the reps don’t have time to nurture those long-term contacts. Automated marketing takes enough of the grind out of a sales rep’s job to allow them more time to develop a sales pipe for the future as well as for today. Used correctly, marketing automation helps sales and is an incredible tool for maximizing sales and revenue across every rep in your company. If you’d like to know more about what marketing automation can do for you, contact us for more information. Gabriel Sales specializes in helping SMBs and Startups grow their business with modern sales and marketing operations. You spend $15K, $30K, $100K plus on a trade show. You spend money on inbound pay-per-click, or publishers etc. If the marketing department is in charge of sharing the leads they may score and then share with an internal team or an outside vendor. If the sales team is in charge they will often prioritize by gut. We understand the value of both approaches. You want to call the best prospects first. However, generally what occurs is that lag time of a few hours can turn into days and weeks. That lag time hurts especially if your leads are in a highly competitive industry (getting there first improves your closing % by as much a 100%), your sales cycle is 90 days or less (first 3 get short listed), or your leads are driven by search engine marketing (could be a “just in time” need). Many marketers we talk to will proudly say “we call on incoming leads within a week.” Guaranteed they have never done a study on the effects of that delay. Don’t give up on leads after 1 or 2 calls if you don’t connect. This is especially challenging for sales reps that are not supported by a demand generation inside rep. A sales reps’ job is to close business. If they have deals moving this quarter they don’t always have the time to make that third or fourth call. As a B2B demand generation outsourced company and a sales outsourcing solution provider we have done countless studies that have shown that the 3rd, 4th and sometimes 5th attempt is where the payoff comes. This is especially true the more senior the decision maker. They are just tougher to reach. Have a new offer after every call to keep the prospect engaged and give your rep “a reason to follow up” to ask them what they thought. Bottom line is that content keeps a deal moving without needing to get your senior talent on the phone to educate the prospect. It provides a reason for dialogue. It allows you to keep asking “what else are you curious about or what can I share to help you.” It allows you to talk about their needs while you share your position as well. Selling is about the customer not you and this allows you to kill two birds with one stone. As a sales outsourcing company we understand that clients want us to transact now but it doesn’t always work that way. Their strategy is often to get the prospect in that demo as quickly as possible and if the prospect is ready to do that great! However, smart B2B demand generation requires that you also have an offer for prospects that aren’t ready to make that commitment. The prospect is not unintelligent. They know that getting into that demo starts them on the path towards committing to buy. They may not be ready to make that decision yet and they don’t want to waste your time or theirs, so give them a way to engage that is a bit softer and slower. We live in competitive times so many businesses’ marketing efforts focus on the product and ignore the value of educating their prospects so that they realize the value they are offered. To win deals and ensure you are receiving a top dollar for your product or service the customer needs to understand the value you are driving for their business. To explain that value, the customer needs and wants to understand that value. So you need to help your customer by helping your customers get what they want – which is fair, independent and “neutral” views that help them take informed and unbiased decisions. This is quick content to create especially for your senior sales executives if you can get them blogging. What is common sense for you as the expert, especially when it comes to competition and the “internal independent research” available, is often very valuable new information for you customer. They are the core of your business, without them you don’t exist. So the core of your business is that successful relationship. Keep building on that relationship and continue to share content with them to build even more trust. This will organically turn them into advocates. They tweet, they belong to Linked-In, Google +. Don’t ask for them to do it. Just make it easy for them. Referrals work in new and unexpected ways so simply be surprised and especially grateful when they ask to contribute content for you. 7. Listen to Your Sales Team and Your Prospects to Generate Your Content Strategy. In many cases, the sales team understands what the customer needs before the customer does. This is especially true if you have a disruptive solution moving into an existing market or an existing solution moving into new markets. Creating a great deal of content quickly is not tough. If you listen to your prospects objections and the same questions or concerns come up several times turn it into a blog post. You can then take that sales conversation to address other prospects’ needs and even more importantly to your B2B demand generation effort. Take that “sales conversation” into the social media conversation. As your content grows create a resource page that is customer centric. Design them to help the customer make decisions. Give them educational content, evaluation content and verification content in one easy to find area. Combine your general educational content (70%) with some vertical specific content (30%) so you are speaking directly to that particular need or pain area. Don’t make the content just about you, make it about them; around the needs of your customer by decision maker type. Make it easy for your customers to find what they need, and almost as important, make your brochure dynamic so you are not wasting your sales reps valuable phone time keeping up with new additions to your marketing mix. Keep them focused on selling. Gabriel Sales has developed a simple to implement landing page engine that can be up and running for you in a matter of weeks to jump start this process. The “sales” conversation, the digital conversation and the “social media” conversation are the same conversation. The objections your reps hear and address are the same that customers who haven’t found you yet have. Make it easy for them to find you and maximize your sales content investment by driving traffic to that page with long tail SEO and PPC campaigns that keep your costs down. Keep the language on the page focused on the customer using the language of “your” and “you” not “we” and “us.” Finally, keep the requirements of your form down to the basics – customer name and email address. Keep any other fields optional. The new rules of sales engagement require your demand generation reps and your sales reps to have different skill sets. Lead generation reps are often calling cold. Their scripts are different, their call volume is different and their personality is different from what is required by reps moving inbound leads forward. Demand generation reps are there to facilitate. 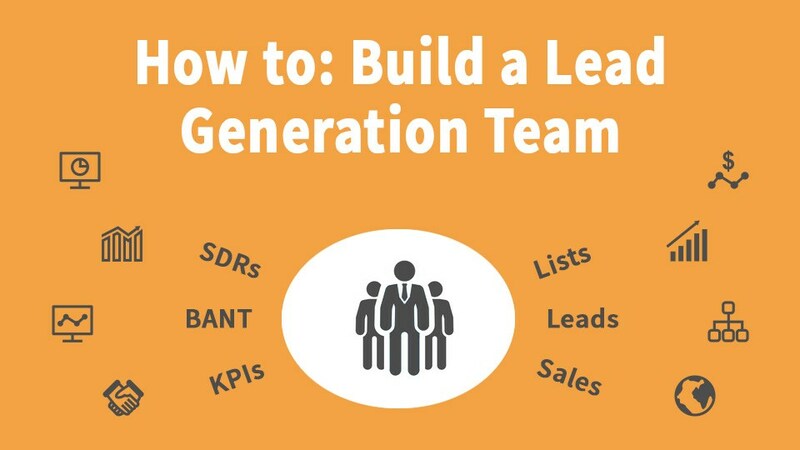 Lead generation reps are there to put leads in the pipe. Be conscious of the difference and either train your lead generation reps in the new rules of sales engagement (so they are not creepy or overly assertive) or hire a different rep to move deals from marketing qualified to sales qualified. 3:00 video that describes how a Fortune 500 company leveraged sales outsourcing for media sales and how to use feedback loops for new product launches and product innovations. Marketing Automation is the simplest and most effective way to instantly improve lead generation and conversion. Implementing a marketing automation solution will streamline your sales and marketing efforts into one easy-manage process.